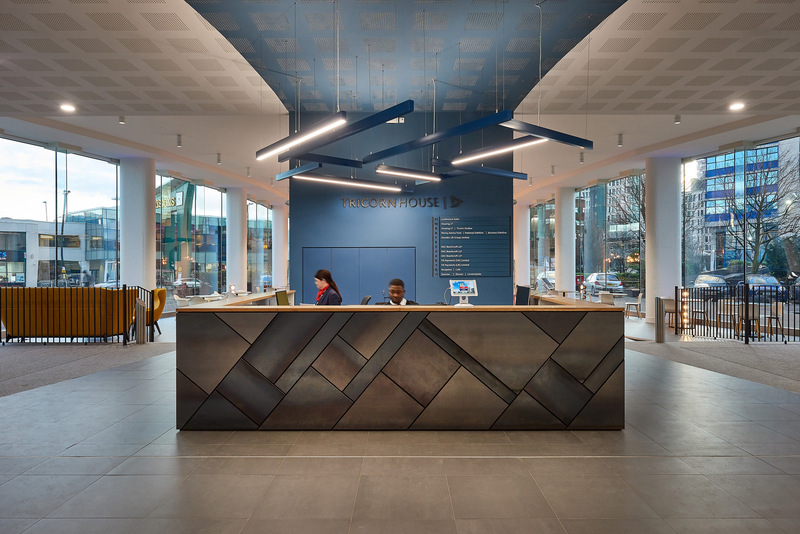 Newton approached Woodhouse to fitout their 4,900 sq. ft. commercial office space at Putney Plaza, London, SW15. 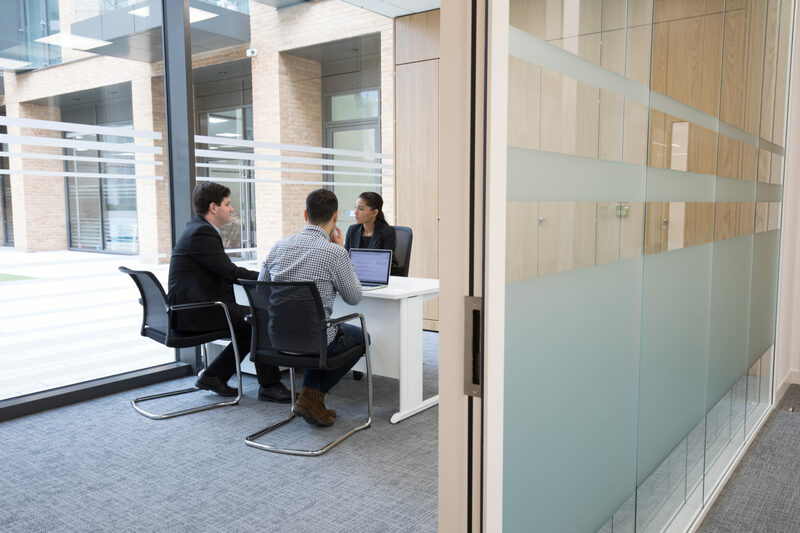 The family run company, who manage the interests of several different businesses, had outgrown their current premises, and were looking to establish an independent commercial office to allow for future growth. With their current office space being located in a basement, access was difficult, and staff struggled with the lack of facilities such as no meeting rooms or onsite parking. These issues in turn drove the move. 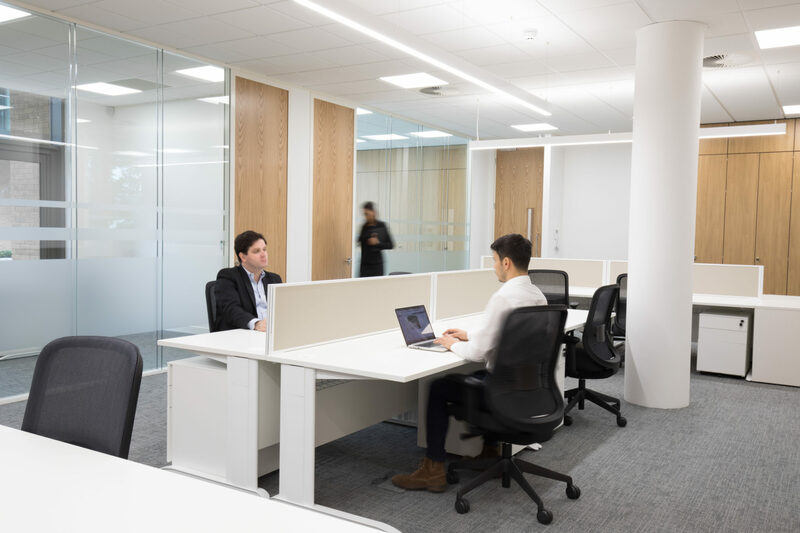 Moving to Putney Plaza allowed Newton to take on a space in a newly built building and placed them closer to one of their businesses with the added bonus of great transport links. 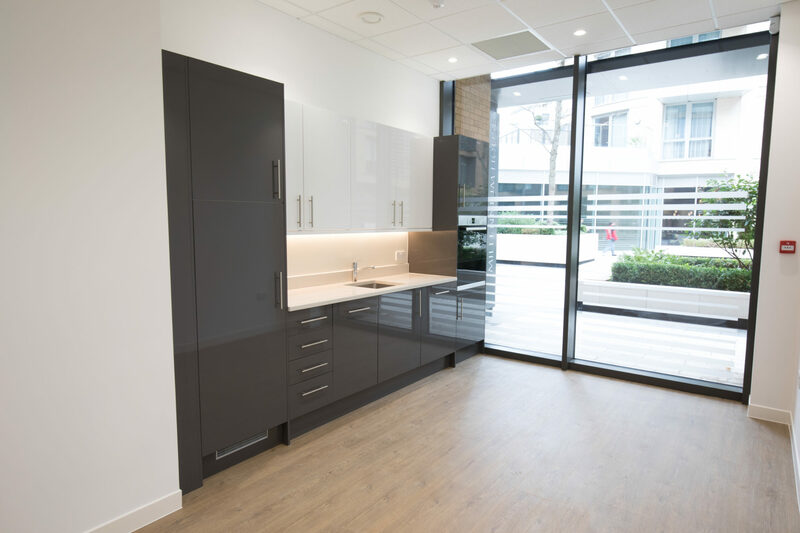 The project scope included a breakout area, toilets, showers, and double glazed partitioned offices, all of which had to be designed and installed into a compact space. 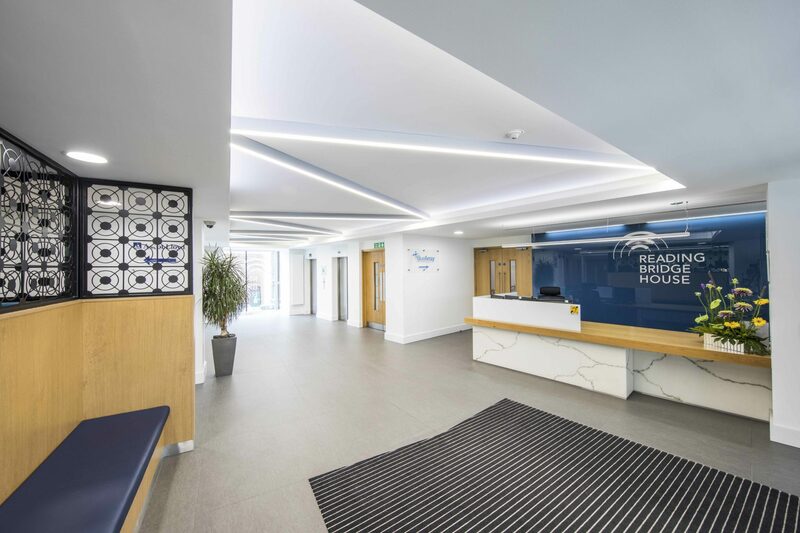 The Woodhouse design team were able to provide some innovative space planning, which included all of their requirements whilst maintaining a space for subletting, much to Newton’s satisfaction. The location presented a number of logistical challenges. For one, Putney Plaza is in a high-traffic area, so access and deliveries required careful planning. In addition, the space is located beneath residential flats, meaning the project had to be completed strictly within working hours, with no option to be on site at the weekend. The complexity was heightened by the need for the team to tap into many existing services on site for the new commercial space, without any disturbance to the tenants already living above. 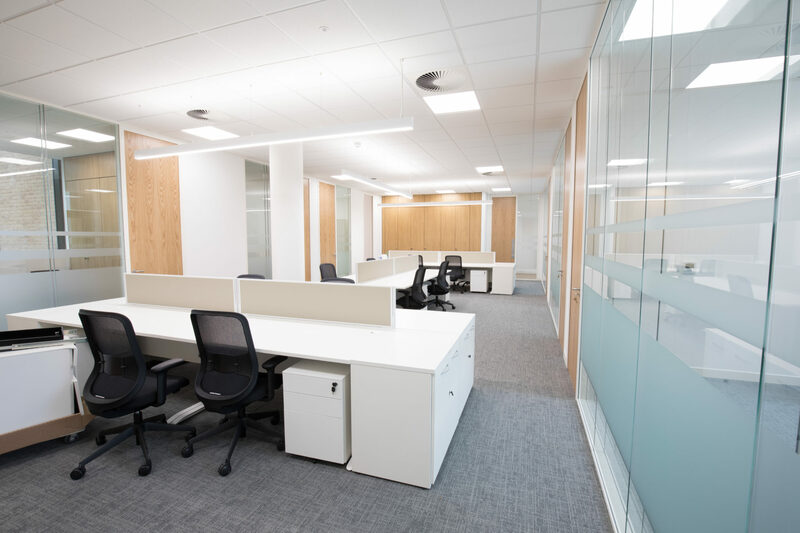 With a tight budget and defined move in date from the client, the Woodhouse team were under pressure to deliver the fit out smoothly and on time. When Woodhouse took on the project it was a concrete shell, therefore it was necessary to install insulation, and 75mm of pumped screed over a 2 day period. With the logistics of the site prohibiting pumping from the roadside, Woodhouse positioned the pump carefully, to keep the residents routes open and safe at all times. The unusually high ceilings in the space; while aesthetically pleasing, required additional planning, materials and access equipment. 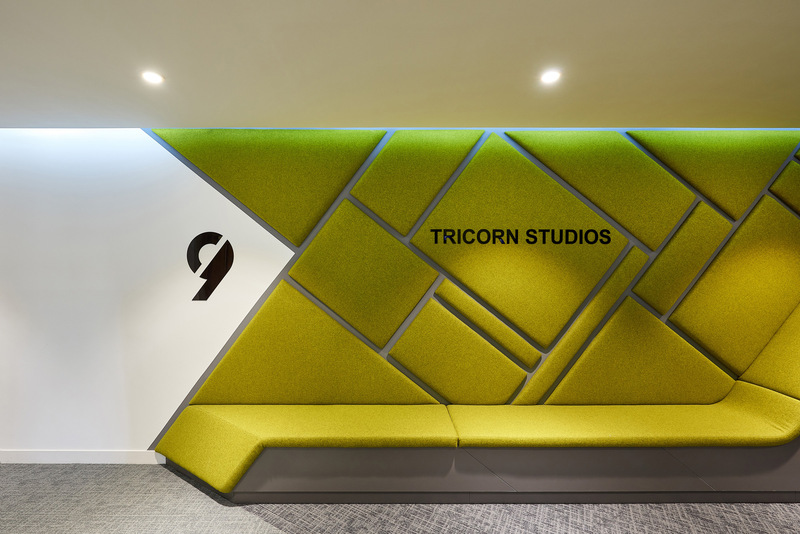 In turn this impacted upon the acoustics, which were of key importance to the client, as it was essential that they be able to conduct meetings in privacy without background noise. Careful installation of vertical baffles within ceiling voids and premium double glazing systems, enabled a high degree of acoustic separation. 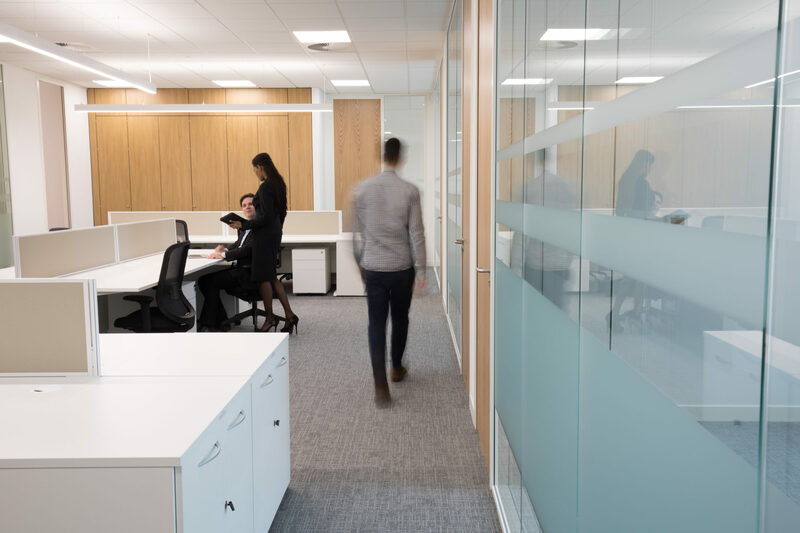 The fit out was completed to a high standard, with contemporary partitioning and furniture, a high quality teapoint, and beautifully surrounded screens in the meeting rooms. The finished space is light and airy, with clean lines and modern facilities throughout. Newton moved in on schedule in October, and are very pleased with their new space.